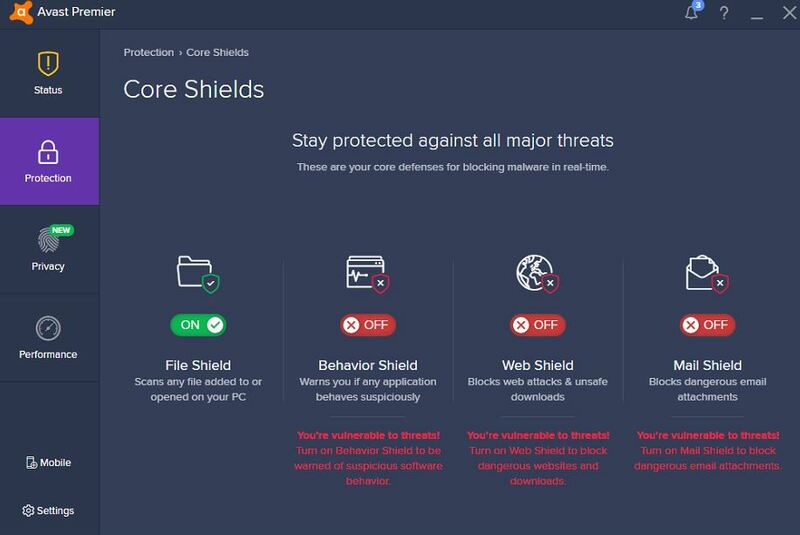 Avast will interfere with Kibosh filtering if you have turned on all their Core Shields. This is because Avast, in case you didn’t know, if sending all – ALL – of your Internet traffic through their servers, i.e. Avast is essentially a VPN which will tunnel through any filter. With Kibosh protecting your Internet all you need going forward is local antivirus, and the non-subscription kind. Kibosh blocks the bad stuff before you download it, local antivirus works (hopefully) after you’ve been infected.